Spending personal time reflecting on God’s Word is something I would like to impress upon my children as important. However, helping them understand HOW they might do so is a challenge. Despite the fact that we study the Bible and pray together daily I have never quite been able to help my children translate this into their own personal time with God. Helping them understand what that time might look like hasn’t been easy. Quite frankly it isn’t always easy for me to define what my own time with Lord should look like. I was recently offered the opportunity to review a great tool that is helping my family develop this important skill. It is called the Spiritual Circle Journal for Kids & Teens and my son Noah has been using it as a part of his Bible time. Included in this journal, from Spiritual Circle Journal, are three 3 pages of Parent/Teacher/Leader guide instructions to help families effectively use this tool. The Spiritual Circle Journal for Kids & Teens is a spiral bound book complete with a sturdy plastic cover. It is the perfect thing for any child who doesn’t mind writing a few sentences day, typically ages 8 and older. This journal is a completely different than anything you’ve ever seen before. First there is the Parent/Leader Guide pages. What a blessing this section is. It is designed to help the parent or any other adult show exactly how to use this journal with children. The concepts behind this journal are clearly explained. This book is designed to help children and teens have a great 10-15 minute quiet time in the word per day, through nine key elements. I’ll describe in a minute. Included are some tips for helping children of various ages. They suggest that parents and children complete the first few days together so that the parent has a chance to model effective use of the journal. They let us know it can be helpful for parents to share stories with their children of how God has worked in their own lives. They also talk about how sitting down and putting pen to paper can really help a child focus and make more connections with God. This point was particularly important to me as I’ve found my most meaningful prayer times are always those times when I choose to write down my prayers. There is a customizable page that can be used a the cover. The journal does of course have a cover but it can be removed so that a child can be creative and use decorate their own page. Each day the child is given a passage of scripture to read. In order to reflect on and think through that scripture passage the child fills out nine bubbles or shapes. Each bubble is actually an area of prayer that will help the child apply the scripture to his or her life. Journal entry- here the children can describe what is happening in their day or what they have on their mind. Lyric/verse- here a child can jot down the the lyrics to a song or even a Bible verse that has stood out to them recently. There is also a Personal Page where the child can jot down anything meaningful or important to them. There are Summary Pages included as well. These are 16 pages the child will use after the journal pages are done. There are 9 empty circles and suggestions for how to use them such as a place to write down lessons learned over the course of filling in the journal or a place for favorite verses that can be memorized. Yes we most certainly do. Noah is 10 and this is just the amount of structure he needs to really reflect on his Bible time. It has forced him to slow down and actually think through the scripture verses and reflect on his own life. I did take about two weeks working with him, side by side, training him to really give good thorough thought to each of the bubbles on the journal pages. Sometimes applying the questions to the scripture we were given was a bit of a stretch. The questions are quite general and not all scriptures neatly fit the prompts. It took some time for me to convince my son there was no right answer, that this was about him really taking the time to think about how God is working and how he can apply God’s word to his life. Once I was able to get Noah to relax about things he become more confident using the journal. He of course was inclined to just whip through and write down simple one or two word answers without much thought. The most exciting times for us was when we discussed how God is moving in his life. Just like any other person it is easy for him to miss those things if he isn’t watching for them. Now he is. How powerful is that? This alone makes this journal so worth owning. I’m a typical American. I speak only one language… English. That’s it! I was miserably failed my high school French classes and developed a nasty taste for learning a foreign language… ANY foreign language. (True story… every time an opportunity to review a French program pops up I all but refuse to do it. I’m sorry but no! NO FRENCH EVER AGAIN!) However, I certainly see the value in it and would truly love to have a real grasp of a second language myself. How does one teach a child another language when the teacher does not speak the language herself at all? I’ve reviewed a number of Spanish programs over the years and each have all had their pluses. I actually really liked pretty much all of them for various reasons. Each time we attempt a new program my children seem to retain just a bit more of the language. That is awesome! This time I was given the opportunity to review the Starter Set 1 from Foreign Languages for Kids by Kids . 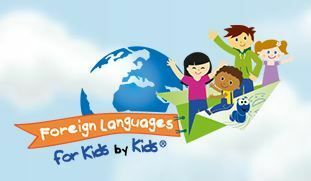 The name itself struck me… Foreign Languages for Kids by Kids. So you mean to say in this program there will be children teaching my children how to speak Spanish? The answer is pretty much.. YES! This program is a lot of fun and it uses a more immersive style to teach Spanish in every day life situations. It is best compared to how we all learn language as infants and toddlers. We watch and listen to the world around us and then we try it! How fantastic! Instead of beginning with colors or a list of objects or places you begin with words that you can wake up the next morning and begin to use as you move about your day. And that is exactly what I encouraged my children to do. The videos bring about an immersion experience paired with the visual element and the children and I really seem to retain what we’ve learned. (Yes I’m including myself in this too) Let me back up and explain to you exactly how all of this works. I began this programming by reading through the curriculum guide so that I could get a good handle on what we were diving into. Then we all sat down together and watched the very first video called… “Basketballs Aren’t for Breakfast”. Just the title alone grabbed my children’s attention. They felt at ease since surly this was going to be fun! The first video introduces us to trio of boys (that we assume are brothers), all speaking in Spanish. You can view a sample of the video RIGHT HERE. It is morning and they are entering the kitchen and down to breakfast. They talk about what they are eating. We get a sense of what they like. (One child loves to eat a lot, another child loves books, and a 3rd child loves basketball). Through their interactions we learn the names of some common foods and objects. The whole thing is funny and very entertaining. The video goes by quickly and the kids would always beg to watch it again. The end of the video features a review section for all of the Spanish words that were covered. We watched that Basketballs aren’t for breakfast video more times than I can count. My children found it hilarious to use every word they learned as often as possible. Every food they ate for about two weeks was labeled as either me gusta or no me gusta. (I like it or I don’t like it). We worked through the lessons as they are laid out in the curriculum guide. I used that guide to help us review the vocabulary frequently since it is all listed in there. We worked through some of the activities listed in there as well. It is all so well planned out and easy to follow. I loved how my boys (ages 10 and 8) could work through the activities at their level but my six year old, who isn’t quite ready for any sort of Spanish writing could still fully participate with the videos and learn just as much as her brothers. Did I mention the 2 year old seems to have picked up a word or two along the way as well? Included is a sticker set of word labels to be placed around the house on appropriate objects. Call me mean mom but I limited where those could go. Perhaps it reminded me of my days as public school teacher where we used to do that sort of thing all of the time. I had a classroom with labels on just about every darn thing! I’m not a fan of doing that to my home. However we did use them in our school room and on some toys. Its a great idea and well executed but like my horrible French experience which scarred me for life I might still be suffering from the after affects of teaching in a traditional setting. HA! We did finally move on to video two which is called The Little Magic House Part I. We’ve watched that one many times as well. The difficulty of this video is kicked up a notch and we’ll be paying close attention to it. Here we get fully engaged in the whole male or female forms of words and the differences between formal and informal words. But its just as much fun and my kiddos are just as excited for it as they were for video two. This is such a fun program. Certainly the most entertaining foreign language program we’ve ever tried. Every member of my family is learning so much with it. We are really excited to move forward with it and I anticipate buying the other levels as we complete Starter Set 1. Math is such a funky thing in our homeschool. I have one son who struggles with it. He’s the free spirited one. He’d rather be drawing or day dreaming tha figuring out sums so has convinced himself he isn’t any good at math. That isn’t exactly true however when he watches his brother who has a real knack for math he can’t help but feel that way. My other son I call my mathy kid. It just comes naturally to him without much effort. 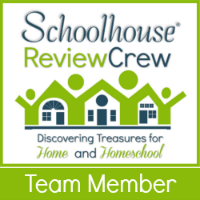 We were given the opportunity to review the CTCMath Homeschool Membership from CTCMath. We reviewed it a year or two ago. We got a lot out of it then and I was anxious to see how my 8 year old son who loved it last time would respond to it this time. Once our membership was reactivated I was all set to go. It remembered my son’s accounts from the last time. Each person is given access to the complete program from Kindergarten to Calculus. Hopping around between levels to reinforce older concepts or just for extra practice is a snap. I’m a big fan of review and practice so I appreciate that there is plenty to be found just by poking around through the levels a bit. Generally speaking we used this program several times a week and my 8 year old was able to choose his own topics to work on and move at his own pace as he progressed. This is program is web based and lives on the internet. There is no software to install on your computer. Therefore every child can use it from any internet computer. A strong connection will ensure smooth running videos. Our general internet browser of preference is Chrome and the program runs perfectly with it. I also tested it in Firefox and Internet Explorer and found no issues. Every level operates pretty much the exact same way. When you enter a subject you have the opportunity take a “Standard” or “Comprehensive” Test if you so choose. When we restarted the program I had my son take several Standard Tests in search of the correct level for him to begin work. As the names imply, the Comprehensive test has more problems and dives deeper in the topic testing for knowledge. Each lesson begins with a video followed by practice problems. The videos are pretty short, usually under 4 minutes. They work through several problems just like the ones that the child will get try in just a few moments. The problem sets are often just 10 questions long, sometimes as few as 5. Once all of the lessons are completed in one topic, the child is awarded a certificate. Perfect scores on all problem sets earns you a Platinum Certificate. 90% or above equals Gold Level. There is also Silver and Bronze. Children can redo the questions in the problem sets in order to achieve 100% and earn that Platinum. It may take several rounds to get that perfect score though as the program averages all of the attempts together. My Thoughts… Do We Like It? There are many great things about this program. The ability to move around between levels is just wonderful. Every child can move at his/her own pace with ease. As questions are answered immediate feedback is given. All scores are recorded and easily accessible in the parent log-in area. The award certificates are a fantastic motivator. We have something to print off and show off to Daddy at the end of the day. My son loves that so much I often had to take cell phone photos and text them to Daddy because he just couldn’t wait for him to get home. Ezra loves that he can move at his own pace. I am even generally ok with him picking and choosing what topics to study. He is mostly working at the 6th grade level though he is only 8 years old. If he were in public school he would likely just finishing up 3rd grade. It is exciting to be able to cater his ability without having to purchase a whole bunch of different levels to figure out just where he is. To have a whole wide world of math to explore at his fingertips is an absolute Gold mine for this child. The only hic-up if you will is that he actually has to stop and TRY a bit harder at this level. It isn’t the automatic cake-walk that he was used to. So he got a little frustrated… until I calmed him down and showed him he really CAN work at that level. Then he was off to the races again. I do wish this program had a hands in element. I do appreciate that children can move through lessons and practice problems repeatedly until they are solid in the skill. Overall, I really do appreciate this program. It is really well done and easy to use. I love that kids can plug in and work at their own pace. I love that it doesn’t take any preplanning from me. I love that I can have a family account for all of my children. Even my non-math loving kid can do very well with this program if I required it of him. If this format appeals to you I encourage you to give it a try. High quality and educational apps can be a bit of a chore to discover in the sea of apps that make up the app stores on our mobile devices. There are gems out there and I’m excited to share one of them with you. Our family has been enjoying a fantastic app called Orphs of the Woodlands at Tangletree from Star Toaster. This app comes from the same people who created Orphs of the Woodlands which I reviewed last year. Everything that Star Toaster creates is designed to develop a love of reading in our children. Orphs of the Woodlands at Tangletree exceeds all of the expectations I had after our fantastic experience with them last year. This time the program comes as an iOS app and is compatible with all apple devices. This app contains a 122 page fully illustrated chapter book for your children to enjoy complete with 75 lessons on a variety of subjects. The story follows the adventures of Abba, flying squirrel who has found himself in the position of carrying for orphaned animals (known as orphs) in his tree house. As your children read the book the help him take care of the orphs trhough over 130 “jobs” where the children are tested on their skills. This game incorporates lots of learning and reading in a way that makes it so enjoyable for your children that they aren’t even aware of it. The first part of the program is the reading adventure. The text is presented in such a way that important words are highlighted. When a student touches them they learn new definitions for the words as well as their synonyms. Hundreds of words throughout the text are presented in this way. What a goldmine for our kiddos. As the reading progresses the reader (your child) is required to help the orphs. They complete jobs and visit the orph settlement. As the story progresses it is up to the reader to rescue as many of the orphs as they can. Added to the reading adventure is all of the academic learning that is impeded throughout. There are hundreds of lessons here on everything from math, to science, to vocabulary, thinking skills, life skills, art and more. Positive character traits and leadership skills are also instilled as the character moves through the story line and makes important decisions. I wish you could see how excited my boys were to be able to play this game. They remembered it well from last year and were waiting all year for the release of another game/book. Both of my boys have excellent well above average reading skills and therefore they were able to move through the app very quickly. I would say that the average 8-10 year old would find the reading to be just about at the right level and they should be challenged but not to the point of struggling. What my boys had to say! The app is quite user friendly. You can create different user names for each of your children so they can all play and progress through the program separately yet still use the same devices. There is a parent area when you can view your children’s progress and reports on what they have accomplished. This is one of those products that I just want to shout about. It’s just that great! The story, the character learning, the academic learning, the reading, how well it all integrates together. It is just super high quality. And so worth it at only $1.99. You can’t go wrong with this program! I wish I could start this review with the blare of trumpets. Why? Because my family has recently had the opportunity review another audio from one of our favorite companies! We have been blessed with Beric The Briton from Heirloom Audio Productions . We’ve reviewed every single one of Heirloom Audion Productions audio adventures and you can read all about them HERE. Let me tell you, these audios are part of the fabric and culture of our family. These audios are intended for children in the middle elementary grades on up through adult. Even my husband and I adore them. My children listen to each and every one of them OVER and OVER and OVER and OVER again. In all sincerity you should really just click on the links and buy all of them right now. I recommend them THAT HIGHLY. However, this review is all about about Beric The Briton and so I will tell you all about this amazing story. First let’s take a look at Heirloom Audio Productions. Heirloom Audio is a company that is absolutely passionate about history. It is their mission “to engage the listener’s imagination by taking them back in time and immersing them in a great Christian story.” Each story provides a superb, family friendly product that brings heroes to life that we’d want all of our children to emulate. They are all men of great character, bravery, loyalty, family, determination, and faith. Based on the stories of G.A. Henty every new release is sure to delight. This is the story of the Roman invasion of Ancient Britannia. We meet a young man named Beric who was a Roman hostage for years even before the story begins. Upon his return home Beric is thrust into leadership of his people and a battle against the Romans. He is given little time to prepare his men. Even at a young age Beric shows great wisdom and bravery as he chooses a less orthodox fighting strategy. He must over come skepticism and long held cultural beliefs in order to teach his men how to win the war. His best friend Bodouc joins him on this and the rest of adventures as they over come the Roman Empire. They face love, tragedy, persecution, and so much more. Eventually the story of “Christus” begins to wind its way through the Roman Empire and Beric is faced with some important decisions that are influenced by some extraordinary acts of faith he is forced to witness first hand. Oh what conversation my children and I had over this section of the audio. I don’t want to spoil the story for you so I will not share the details. But be prepared… this will challenge not only your children but also you, the adult. All of these bonus items give you the opportunity to bring your family’s listening experience a step deeper. As a homeschool mom the study guide is a gem. In it you’ll find questions for each part of the story, definitions, historical background information, and even Bible study resources. I’ve lost count of how many times my children have listened to already. I wish you could have heard the groans my children uttered when I told they were not to listen to it for the first time through without Mommy! Not only did I need to listen for this review (and implement some of the things in the study guide) but I sincerely didn’t want to miss out on the fun myself. The groans were even louder when I would pause the CD for discussion! Ha! I have a bad habit of doing so right before some great thing is about to happen. Fun way to torture my children a bit! All 3 of my oldest children sincerely enjoyed this audio. My two older boys, (ages 8 and 10) are most able to engage with me in a discussion about what we are listening to but even my six year old is able to follow along and pick up on themes and ideas. Oh and the mp3s of soundtrack is fantastic! I’d happily attend a concert just to hear the music. Alrighty I’m going to wrap up my review here. I could gush about this all day! You can also find out more about them on Facebook, Twitter, Google+, or Instagram. Please be sure to check out all that Heirloom Audio Productions has to offer. If you have experienced other audio adventures from Heirloom Audio please share with me in the comments which ones are your favorites! I’d love to hear about your experiences too. Recently we were given the opportunity to review the Interactive A Workbook from ABeCeDarian Company. ABeCeDarian is a decoding program for early readers. It is multisensory and research based. Intended for children of at least age five and who are ready to learn to read and write. Interactive A Workbook is an online version of their print workbook which works well with tablets or can be used on a regular personal computer. How did we use ABeCeDarian? I used this program with my 6 year old who has been learning to read for the last year to 6 months. Though she isn’t fluent yet she has come a long ways. We sat together with our family iPad to work through the lessons. The Teacher’s Guide...In order to use this program you’ll need to tackle the 166 page teacher’s guide. You can actually download it ahead of time for free at THIS LINK. This teacher’s guide is like a course for parents on how to teach your children to read. If you were ever worried that you might not be able to do so then you’ll feel at ease after reading this manual. The beginning of the teacher’s manual explains to you, as the parent, the WHY’s behind this program. Then you are given very scripted lessons. Absolutely everything you should say and do is provided in writing for you to follow along during your lessons each day. The Interactive Workbook… All of the Interactive Workbook pages begin with letter puzzles for the child to figure out. The child drags the letter tile to the line to spell the word. There is no feedback built into the program. It won’t tell your child if they are right or wrong. They can advance to the next page even if they answered wrong. This is a program that requires the parent to sit with them and watch over everything as the child completes the work. There are also screens for completing handwriting practice. I wish we had a stylus handy as I think using such a tool would have made the handwriting practice more closely represent real life handwriting. My daughter used her finger. After many lessons the student is able to read and write complete sentences. Overall What Did We Think? My daughter Joyanna enjoyed the program well enough. While she didn’t ask to do it every day she did complete the lessons happily when I asked. I did see a lot of improvement in her reading during our time with the program. That of course makes for a happy mom! It took quite a bit of effort for me to get this program up and going. The teacher’s manual is quite a mountain to climb. As a mom who is homeschooling her 3rd child I didn’t feel like I needed all of that information nor did I need the detailed scripted lesson plans. However I know there are many many mothers who would find that a welcome blessing. If you are worried about your ability to teach your child to read this program could really be a fantastic product for you. The Interactive Workbook worked great. I could see a family with very limited space, or a family that schools on the go really enjoying the ability to keep things tidy on a tablet. I do wish the program did MORE though. Typically when I give my child a workbook page I can set her to it and walk away for a few moments and then check back once she’s completed it. With this program I had to be glued to her side checking everything as she went. She had no way of knowing if she made a mistake without my input. With two older children and a toddler underfoot this can be a challenge. Did the program reinforce the lessons and exercise her skills? Yes! Did it function properly? Yes! It is a useful tool. 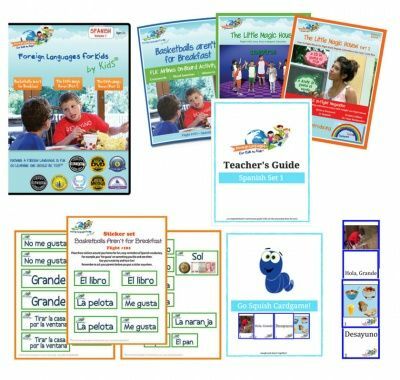 If you are looking for a resource that will really help you and guide you through teaching your child to read than this is the program for you. One of the glorious things about homeschooling is that we have more time for things like art and music. My experience as a public school teacher showed me that most children only get about 40-50 minutes PERHAPS once a week dedicated to subjects like these. That wouldn’t be enough for my drawing/art loving children. However, planning and organizing art lessons on my own can be a bit of a hassle. That is where programs like ArtAchieve come in. Recently my family had the opportunity to review the Entire Level I. Let me tell you about our experiences. ArtAchieve was created by a creative and artistic homeschooling father. John Hofland has created a program with five levels and several lessons in each level. You can purchase entire levels or individual lessons separately. The lessons are presented in a video format with Mr. Hofland demonstrating the artistic concept of the lesson. The lessons can be watched multiple times of course. My children like to rewind and replay small segments at a time as they try to replicate the teacher’s techniques. This program incorporates more than simple art technique into the lessons. Mr. Hofland encompasses art from a variety of cultures into his lessons which adds another layer of learning to the experience. The Power point portion is fantastic. This is where they children pick up the background and cultural information about the art creation they are about to learn to create. Here are just a few examples of the slides for the Haitian Gecko Drawing. Also included are directions for a the student to complete a warm up for the project. You can download and print out the necessary copy pages. You can see below in my screen shot how the video lessons are displayed. You can make them full screen. We began with the first lesson, which is available for free here. That lesson is all about drawing a Czech Cat. We did a little googling on information about the Czech republic. We also borrowed the musical production of Cats from the library. That’s generally been the format for us for all of the lessons. A little googling, a little library research, a fun activity.. but mostly the art. My children just love the art! When it came to the art lesson my children are pretty independent with art activities. I made sure they went through the power point slides and I sat and watched the videos as they drew but I generally let them take the lead. My boys prefer to leap around so they’ve completed the lessons out of order. Which with this program works perfectly. They are very enthusiastic about the art lessons themselves. So they go ahead and complete lessons when Mom isn’t paying attention. I’m great with that. This is a great use of time for them. As I’ve tried to bring the cross cultural elements into the learning they’ve been glad to repeat lessons for me, usually with renewed enthusiasm and they have acquired some cultural background information from me along the way. Over all my boys love it. They love anything they can do mostly independently and they love art. They think the lessons are clear cut and easily understandable. They enjoy the projects for the most part. In the beginning they needed to adjust to Mr. Hofland’s low key and calm style. While I appreciated that right from the beginning they found him to be a bit… “boring” as they said. They are used to other art sites that are bit more upbeat and exciting. Over time though I think the calm style drew them in. They sort of became mesmerized by it. I of course deeply appreciate the cross-subject learning opportunities. That is a gem in this program. I’d absolutely recommend this program to anyone who wants to bring some cultural artistic art into their children’s education. Recently our family has had the opportunity to review a new course! It is the Self-Paced Bible from Veritas Press. Oh how excited my kids are! We’ve been big fans of the Veritas Press self-paced courses for a couple of years now. They are always so much fun for my boys and incredibly in-depth. Our expectations for this course were high and we couldn’t wait for the review to begin so we could dig in. We were fortunate to get access to Old Testament 1: Genesis to Joshua which is a full year course. Other Self-Paced Bible course currently available are Old Testament 2: Judges to Kings and New Testament 1: The Gospels. We were so exited to dig into this course that I wanted to make sure both of my boys had access so I paid for the course for my 2nd son Ezra. That means both he and Noah, age 10, have been using the course for several weeks. We used this program 3-4 times per week. Veritas Press self-paced classes center on the Classical Christian model to education. The Bible is taught in order and children are encouraged to memorize all of the key events of the Bible in order. To help that process a long the children learn a catchy song bit by bit. I’m always amazed at just how much my children really remember and take away from each of the Vertias Press courses they’ve taken. Veritas Press Self-Paced Bible is a web based interactive course designed for grades 2-6. The programs are work on most devices with an Internet connection including iPad and Android tablets. The Old Testament 1 course includes 128 lesson which includes 32 events from the Bible. Lessons are usually pretty quick. My boys are finished within 10-20 minutes. Each of the Self-Paced Bible courses are present by actors who play the role of teachers of historic times, and a mascot. The mascot in Old Testament 1 is a cat. After information is presented by the teachers/actors the children usually have a variety of activities such as games and quizzes. Multimedia such as maps and timelines help children interact with and understand the material All grading is done automatically and children get instant feedback. Reviews and tests are done in a multiple choice question format. If something isn’t done right they have to complete the questions again. If you are new to Veritas Press you’ll need to create a parent account as well as your student’s account. The parent account lets you follow along with your student’s progress and keep tabs on how they are doing. It is easy to use and very handy, especially if you have multiple children using Vertias Press Self-Paced Courses. The program is very open and go. While I enjoy watching the lessons and tossing in my own discussions as the children proceed it really isn’t necessary. Most students can complete this course completely on their own. We adore this program as much as all of the other self-paced courses. My boys already have a pretty good working knowledge of the Old Testament so as result they aren’t finding this program as challenging as other Veritas Press courses they’ve done. That means they are enjoying it all the more. And this momma doesn’t think you can every learn enough about God’s word. I’m sure they are making connections they’ve never made before. We will be moving on to the other Bible Courses in due time. I’ve been a planner junky since elementary school! There, I said it! I always loved carefully copying down all of the important details of my studies, or life. I get a thrill out of being organized (well, on paper at least… don’t look in my real life closets or drawers) and having a plan. Every chance I get to review a homeschool planner I generally jump on. Recently, I’ve had the opportunity to review My School Year (Homeschool Record Keeping) from MyShoolYear.com to plan and track our school work. My home state offers a tremendous amount of freedom in our homeschooling. We aren’t required to turn in any attendance records, hours, or to even indicate anywhere what we plan (or did) study. I love the fact that the government just leaves us alone. However, should a nosy neighbor or some similar person who thinks my children spend too much time playing outside ever request the state investigate our homeschool I would need to very quickly provide proof of what we’ve done. So for that reason alone I do think homeschool record keeping is extremely important. This is a pretty simply planning program. It’s easy to put your student’s information into the program and start your lesson plans or attendance tracking. They even have something called a Teacher’s Aid that helps develop your plans and gives you reminders every day. Emails come straight to your inbox as further reminders. Reports are a snap to print off for your portfolio or other record keeping needs. Transcripts and report cards also make providing proof of your homeschooling easy. Let me tell you about one of the very first features that leaped out at me when I first read the description. READING LOGS! My children are voracious readers. I have a really hard time keeping track of all that they read. Not to mention the books we read aloud together and other books that are a part of their curriculum. There is so much fantastic learning happening between the pages of a book and I have always felt like I’ve done an inadequate job of capturing that. In my experience few web-based or software based programs provide an excellent reading log system. I was so excited to see that as a part of MyShoolYear.com. To top it off you can do more than just add a book title and author as one would expect. They also include spaces to record everything from the level of reading, how many pages were read, the date completed, and notes about the reading. In fact every category of record keeping allows for quite a bit of detail. Here you can see extra curricular options. The best part of this program is that it is easy to shift your plans to a different day or week. I’m sure if you’ve been homeschooling for any length of time you’ve already realized that our best laid plans rarely come to fruition. The ability to easily and seamlessly scoot your plans around is a MUST for any computer based planning program and this program doesn’t disappoint. I began by inputting the things I already mentioned, extra curricular, field trips, and reading logs. While we do school year round we take a much more relaxed approach during the summer months. Our school these days involves a lot of reading together, trips to outdoor locations, library classes, etc. I made sure to record all of that. I’ve also begun to start laying out our new school year when things get serious. The set up was so simple. As time goes on I’ll be adding more and more of our more rigorous school year schedule. For the time being I made sure I inputted all of our math lessons and lessons we do with an another online curriculum. Since these is are subjects we never take a break from. This is a great product for anyone who likes planning on the computer. It is a great tool for keeping everything all in one place. The great reports, lesson plan copying features, and repeated lessons lend to the fantastic ease of use. There are so many great features I bet no two families would use it just the same way. How fun is that? My children always have their noses in books and I’m always looking to tie their reading into our curriculum. We have been studying American History this year and Progeny Press‘ study guide for “Give Me Liberty” has been the perfect compliment to our studies. Progeny Press has a e-guides for Lower/Upper Elementary, Middle School and High School. The Give Me Liberty study guide is a part of their middle school selection. The mission of Progeny Press is “To teach our children to think clearly, to understand literature, and to rely on the scripture for truth and values, and enjoy themselves while they do it!” This aligns perfectly with my own values and ideals for our school environment and seemed like a perfect fit. The story Give me Liberty takes place during the revolutionary war with a boy who is an indentured servant. While this particular guide is geared towards the Middle school level, an advanced upper level elementary school student could easily use this as well. My 8 year old devours books and was able to use the guide with no problems. The E-Guide does a wonderful job of breaking the book down into groups of chapters. You can use the e-guides either online or print them off. This is an excellent feature as I have one child that prefers to physically touch items where my other son prefers to fill things out on the computer. Either way works great. The idea of the study guides is to be used over a period of 8-12 weeks. We used ours over a period of just over 6 weeks. The initial plan was to read the sections of the book that were pertinent to the study guide at that point and then go ahead and do the study guide. However, my children being the book lovers they are ended up reading ahead on the book because they enjoyed the book itself so much. When it came time to use the study guide they sometimes went back to the book to answer the questions. The discussion questions presented by the study guide were thought provoking for my boys and it led to some additional digging into both scripture and the revolutionary war itself. The study guides unexpectedly proved to be a great tool to help my 8 year old expand his writing skills. Given the nature of the questions he was often forced to use more than one sentence to answer them and while challenging at first, as the units went on he was able to better articulate his answers. This growth was a direct result of the book and the study guide combined. He loves the Revolutionary War period and dressing up as George Washington often a weekly occurrence, so the subject matter definitely helped in this area. This study guide was fantastic. The amount of detail it drew out of the book and cross referenced to scripture was amazing. My boys took so much more away from the book because of this study guide. I often am able to probe them deeper for answers and we can have brief conversations about the books they are reading, but this study guide took things to a completely different level. The amount of interaction and conversation we could have together on it not only helped their literary skill, but it helped draw us closer individually as well. Being able to have real, though provoking discussions about the book was a pleasant benefit of this guide. I am looking forward to using many more of these not only with my boys but using the elementary ones with my daughter as well.